I’m sure I’ll get around to reading Kelley Armstrong’s paranormal/fantasy one of these days, but man, she just keeps coming out with these amazing suspense and psychological thrillers. 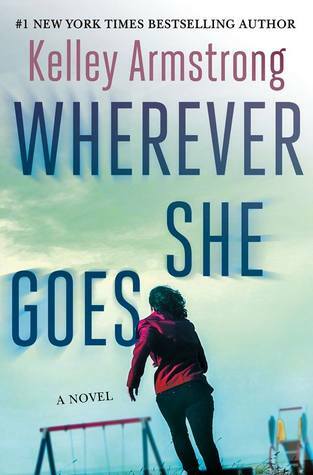 “From New York Times bestselling author Kelley Armstrong comes a brand new psychological thriller about the lengths one woman will go to in order to save a child. Same here! I’ll check out any new series of hers! She seems to be moving away from paranormal books now. Hope you enjoy it! She seems to be bouncing back and forth, which is good! Yes! So excited for this one too! Love Kelley’s books and her mysteries are pretty freaking awesome! Hope you enjoy this one too! I still haven’t tried her Fantasy/UF, but her mysteries are indeed freaking awesome! Clearly one of my favorite authors. This is going on the wishlist for sure. UF used to be my go to genre but somehow I skipped over Kelley Armstrong! Looks like she’s taking a different direction here, pretty interesting! This sounds like something I would enjoy very much.